This workshop is intended for Improver to Intermediate students (A2-B1). Come along to share a very special moment with us listening to French musical classics. Reims, 1969. Paul Coutard, sports journalist and serial womanizer, provokes his editor into organising a women's football match. He is unexpectedly helped by Emmanuelle, the personal assistant, his best enemy in the office. Without knowing it, they will create the first women’s football team in France. 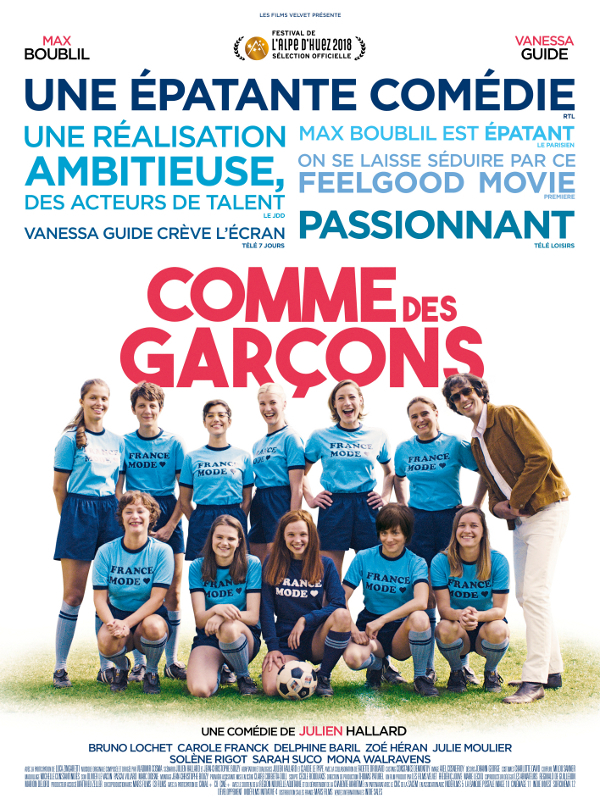 The film (with English subtitles) will be followed by a short discussion (in French and English) about the film. Come and join us for a trip to France in the beautiful Franche-Comté region! 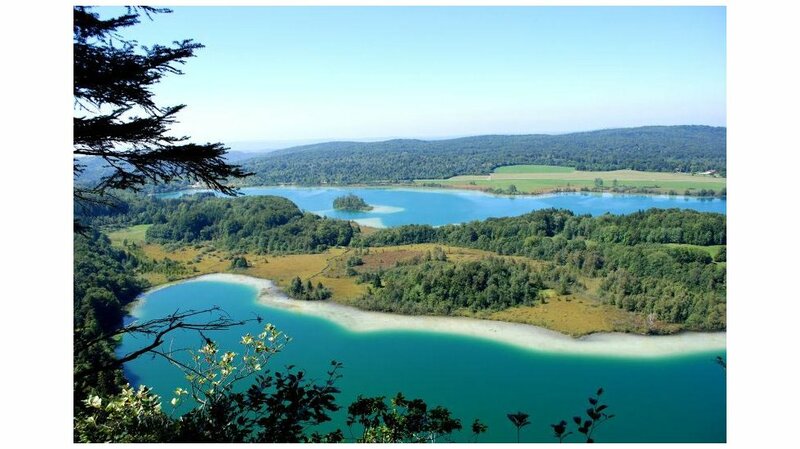 Find out more about the area, its ressources, wonders and specialties. This engaging presentation will be in both French and English and will be followed by a discussion. Join us and find out more about French Culture while enjoying some nibbles and a drink. The next Grammar Clinic will be held in Spring. Come and join us to celebrate the New Year! 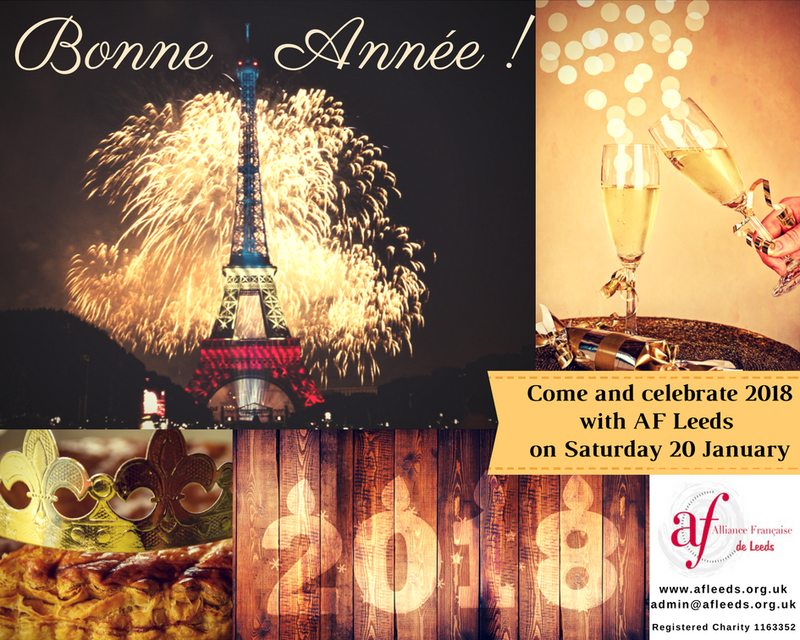 Find out more about French traditions and ways of celebrating the new year with the AF Leeds team. Try out some specialities and enjoy this joyful cultural experience! 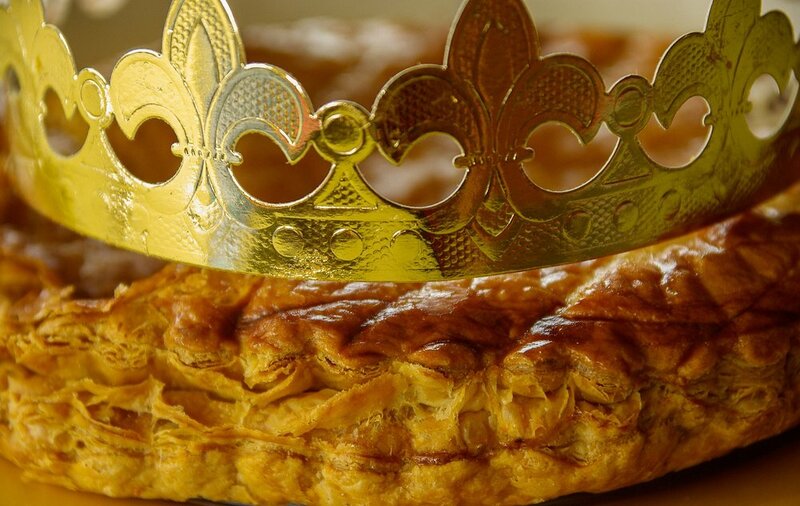 Pop in to share a slice of Galette des Rois and try out some Mousseux for the occasion! Join us for a chat about books in the French speaking world. You will share you experience of reading a book in French and our teacher will propose you to read a book of her choice to discuss in the next book club. De la grammaire, ça vous dit ? Perhaps you enjoy grammar or perhaps you don’t and you wish you were better at it. Whether you like it or not, grammar does matter if you want to express yourself accurately in French. And it CAN be fun ! Join us to revise some essential grammar points in a fun and pleasant atmosphere. This workshop is intended for students of intermediate levels (A2/B1). Join us to commemorate the the First World War Centennial AF Leeds. Join us and find out more about French History while enjoying some nibbles and a drink. On a ranch-style farm in south west of France, Jane Cavalieri, 14, lives protected by the love of her father Ludovic and his grandfather Papifou. The sudden death of her father, in a terrorist attack, plunges Jane into a waking dream. The film is currently being screened across the UK as part of La Fete Du Cinema - a celebration of French cinema in the UK. We'll be showing it with English subtitles and then there will be followed by a discussion (in French and English) with the Director Yannik Ruault - a special chance to hear about the making of the film. Tickets are only £4 for members, and £5 for non-members (includes a glass of wine & nibbles). To attend this superb evening, simply click below to register and we'll see you there! Come along to celebrate the EUROPEAN DAY OF LANGUAGES and the start of the new academic year at AF Leeds with us! we will have a fun Quiz about European Languages where you will learn fun facts and enjoy some nibbles and a glass of wine. Our French classes start on the 18th of September! 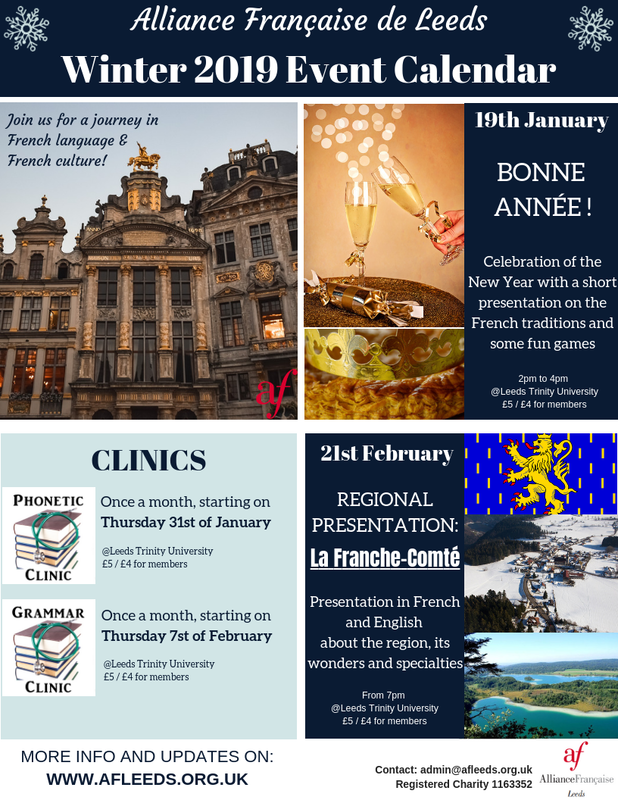 JOIN US FOR A JOURNEY INTO FRENCH LANGUAGE AND CULTURE! Come and celebrate France's National Day with us! Come and join us for a fun celebration of France's National Day. We will have a short presentation on the French Revolution and a Quizz !! Plus of course, some wine, some cheese and some French nibbles. Join us to work on your accent and fluenccy in a fun and pleasant atmosphere. This aesthetic and fascinating film, follows Brigitte (Jeanne Balibar) who is preparing for the role of the famous French singer Barbara. The actress carefully studies the character, gestures, manners, and intonations. The Director (Mathieu Amalric) also works, through his encounters, archives, music, he lets himself be overwhelmed, submerged like her, through her. For her role, Jeanne Balibar won the César de la meilleur actrice (Best actress Caesar) in 2017. The film also won 7 other awards. The film (with English subtitles) will be followed by a short discussion (in French and English) about Barbara and the film. Vous aimez le cinéma ? Come and join us ! We will be watching a film together and then, over a glass of juice or wine and a few snacks, we will talk about it. Our cinema nights are always a great success ! We are very mindful at AF Leeds of copyright laws and so we only show films which are available to us through the Institut Français. These films are not shown in British cinemas and they give us the opportunity to discover some very good French cinema. Generally with English subtitles, our films are suitable for students of a wide range of levels. The atypical movie-documentary, Swagger carries us in the midst of the astonishing minds of eleven high school students from Claude Debussy college in Aulnay-sous-Bois, an underprivileged urban suburb of Paris. The school’s population is mostly of black and Arabic ethnicity except for at least one Indian. Despite their life difficulties, Aulnay's and Sevran's kids have dreams and ambitions. Far from simple reportage, SWAGGER tells a fascinating story in the hands of Babinet and his crew. The film (with English subtitles) will be followed by a short discussion (in French and English). Come and join the AF Leeds team at Valerie's leaving do and the celebration of the success of the first 3 years of AF Leeds. Valerie will offer a fun presentation in English and French. This will be followed by some poetry and finally by a mini concert by Reno, a French musician from Lyon who is familiar with the Bilingual Event and who is coming on purpose for the event. The buffet is a lovely surprise and will not be disappointing ! For those who wish to attend on 12th May and who haven't confirmed their attendance to Valerie (valerie@afleeds.org.uk) yet, please let us know asap if you wish to come, as there are VERY few places left. The film, based on a comic strip, is a satire of French politics, in particular of the French Foreign ministry under Dominique de Villepin. The acting is superb: notably the performance of Niels Arestrup who won the award of Best Supporting Actor in this film. The film (with English subtitles) will be followed by a short presentation/discussion on Bertrand Tavernier (in French and English). Join us for our first Book Club of the year! For this first edition, Valerie Harkness will be introducing the Club and will cover the francophone litterature news. Then, everybody will be invited to present and talk about a book of their choice (from a francophone author). Synopsis: Chez son grand-père, Martin est venu se ressourcer, aider et partager des moments de vie. Issu de cette génération fast-food, Martin prendra conscience de la valeur de ce précieux héritage. C’est un hymne à la vie et à cette nature que nous devons protéger. 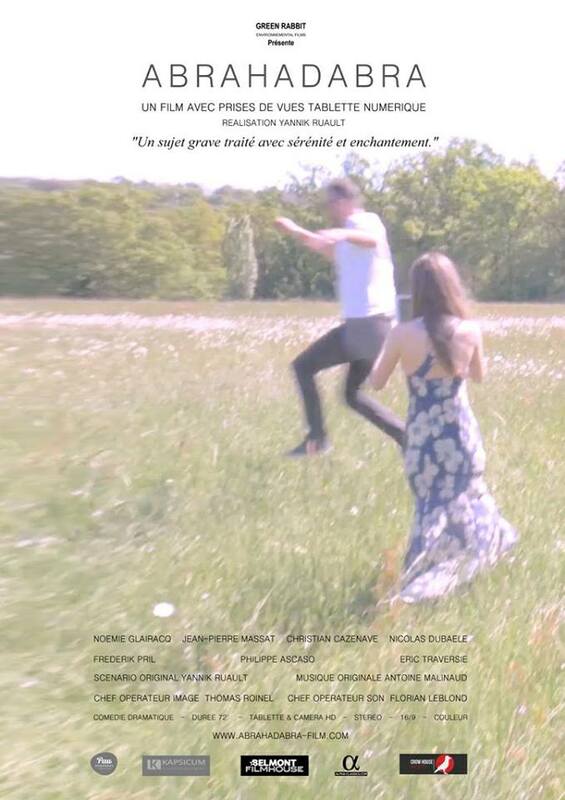 The film will be in French with English subtitles and will be followed by a disussion and some nibbles. If you wish to come, please fill in your name in our form. An evening like no others to start the festive season: let us guide you round the streets of one of the most attractive cities in France: we'll talk about Lyon and we'll evoke its past and traditions, we'll see images of the amazing "Fête des Lumières" as if we were there! We'll play, we'll have fun, we'll taste one of the most famous "friandises" from Lyon... All in all, a dynamic, fun, colourful, engaging and beautiful evening to get into the French festive spirit! Event suitable for both English and French speakers. New Calendar of Events published every term !